Under the Bed is a 3D Betsoft powered fruit machine that we can all relate to. This is because as children, we always checked under the bed in order to make sure that there are no monsters hiding under it. This is the case with this game as it is themed around a boy and his sister who are checking under their bed for monsters but much to their surprise, they found them. The monsters that they found are not friendly and cuddly monsters but instead, they are evil and scary monsters. So place your bets at the control panel, spin the reels and help the two siblings in their war against the monsters that live under their bed. 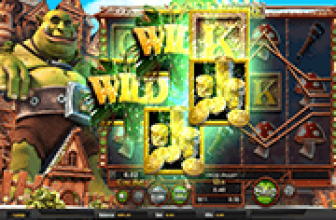 Betsoft Gaming has carefully designed the visuals of the game, including the interface and the symbols, in order to be fitting to the theme of the game. This is why players will see that the reels are located inside the small children’s room. As for the symbols, they appear spinning on the 5 reels of the game and the thirty paylines that the game has to offer. These symbols include a multi eyed orange monster, a bird shaped monster, a one eyed green monster, the bed, a lamp, the two children and the window. All of these symbols come in 3D visuals and they can all turn into animated icons for a satisfying visual experience. This happens to the symbols that are a part of a winning combo. The monsters and the other symbols will help players get paid when a minimum of three symbols land on the reels but the monsters can come with a special rim. Winning combos of monsters with special rims will hold a surprise for players as the monster will flip revealing a sticky wild symbol that has a number on it. This number is the number of spins during which the wild symbol will remain stuck in its position in order to help players get paid. The Bed symbol is a bonus one as players who get 3x bed symbols on the reels will trigger the high paying Bonus Round of the game. Players will join Jesse and Jane in the dark room as they try to fight the evil monsters that are under the bed. The mysterious door symbol is another special symbol. When this symbol lands on the middle third reel, the free spins round will begin. Players will be taken to the lopsided monster bedroom to enjoy a total of 12 free spins. The 3D slot also comes with a double up capability. 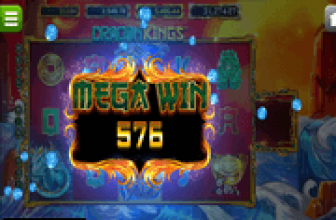 This means that whenever players manage to earn a payout during the main game by forming a winning combo, they will have the chance to double up this payout by playing a 50/50 game of luck. 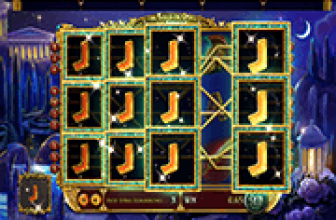 Any payouts earned as a result of the formation of winning combinations created during the free spins cannot be doubled up through this feature.